UK developer Slightly Mad Studios has announced a new free to play online racing game World of Speed. The developer has history of creating racing games like GTR, GT Legends, BMW M3 Challenge, Need For Speed, and Test Drive. Watch the trailer below. World of Speed is a massively multiplayer online racing game, with a focus on arcade style driving like Need for Speed, rather than the serious simulation of Gran Turismo, or Slightly Mad Studios’ own Project Cars. Following in the footsteps of popular, but decidedly mediocre Need for Speed World, World of Speed will offer triple-A graphics, clubs, team-based objectives, lots of gameplay modes and of course a wide variety of vehicles. Unlike Need for Speed World, World of Speed will feature track racing rather than an open world. The circuits will be taken from real world tracks and street courses, and as you can see from the trailer, they are looking good. It’s certainly a step up from the last-gen looks of EA’s MMO racing game. Slightly Mad Studios are promising the game will not be ‘pay to win’. It will have a freemium model, but it is conscious that ‘free to play’ has got a bad reputation in recent years, and they want players to be rewarded fairly for playing well, and that they don’t feel forced to pay to advance. 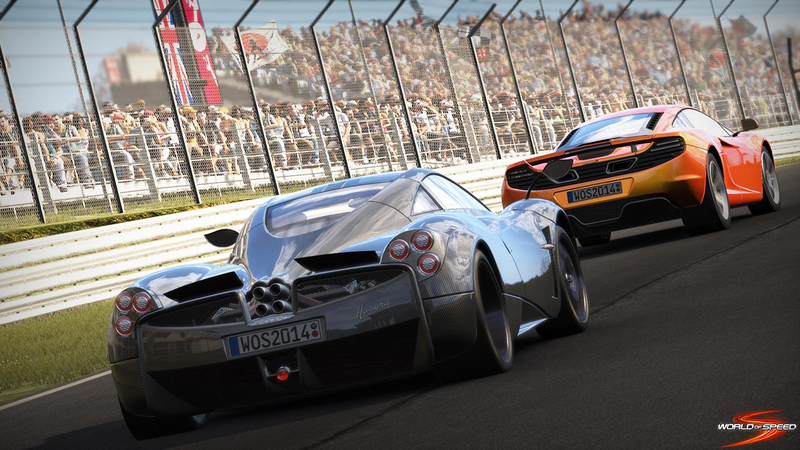 The developers are focusing on making the World of Speed a team game, where playing for yourself is not encouraged. They say that previous attempts at creating cooperative online racing games have failed to do this. The intention is to create a game where players are less likely to shunt others off the course, and you have an incentive to race even if you find yourself too far behind to win. Less ‘rage quitting’, where people exit a race out of anger, is a goal of World of Speed. We certainly support any attempts to make online gaming a friendlier place! Currently in development for PC only, World of Speed is expected later this year. Need for Speed World – a racing MMO!